Most investors know (or should know) the tried-and-true methods to help nest eggs grow. Shift money automatically from your paycheck to a savings plan; take advantage of your employer's matching contributions to 401(k) plans; eliminate (virtually) all consumer debt; track and trim household expenses; reduce investment fees; and, of course, save more than you're saving now. But with the economy and markets still struggling, investors are seeking, and financial advisers are recommending, additional steps to shore up retirement savings. In 2009, more companies cut their dividend payouts -- and fewer companies increased them -- than in any year since 1955. Now, though, the tide is turning. Tom Huber, manager of T. Rowe Price Dividend Growth Fund, says many companies, after recent spending cuts, are flush with cash. And, as such, dividends are likely to be restored or increased. www.intouchproperties.net your property management team. New technologies, especially the Internet, have revolutionized the way real estate is bought and sold. We love using these new technologies because they allow us to be more productive and more accessible to our clients. They also give us access to the latest market information. Through all these changes though, one thing remains the same: real estate is about personal service. The best real estate service involves listening to your clients, promptly responding to their needs and wants, and putting all of your best resources to work for them. When you are ready, give us a call. We will save you time, money and stress. Let us know when we can get to work for you. As you probably know by now, the first step is getting prequalified. Search the $100/down HUD homes that have been listed for a while at www.intouchproperties.net. Usually you can offer 90% of the asking price on these homes. Lithonia, DeKalb County - Quite newly built ranch condo located in Lithonia GA. Three bedrooms and 2 full baths with garden tubs. Convenient to transit system, bus line, stonecrest mall, local banks, groceries stores, strip mall, recreational center, daycare and schools. All appliances included plus washer and dryer. Total electric. Water and Gas included in lease. Approved for a move-in date of December 1st., you will receive half off first month rent. Lithonia, DeKalb County - Announcing a rent/lease reduction on 2101 Par Three Way, a 2 bath, 3 bdrm single story. Now MLS® $800 USD Monthly - December Move-In Special. 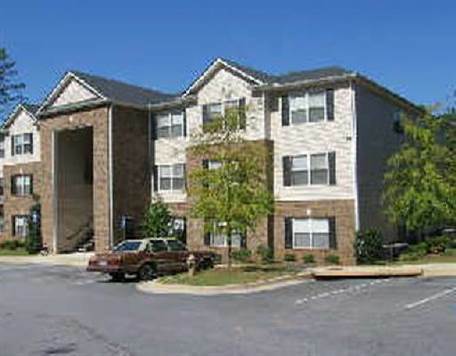 Stonegate, Atlanta (DeKalb County) - Great condo with hardwood floors through-out. All appliances including built-in microwave and washer and dryer. HOA maintained lawn, gated community with pool. 10 minutes from downtown Kirkwood, East Lake Golf Course and East Lake YMCA. Stonegate, Atlanta (DeKalb County) - Announcing a price reduction on 28-1602 Memorial Drive, a 702 sq. ft., 1 bath, 2 bdrm single story. Now MLS® $55,000 USD - Owner Financing Available. Victory Commons, Acworth - Cherokee County	- Beautiful split-foyer home on cul de sac. 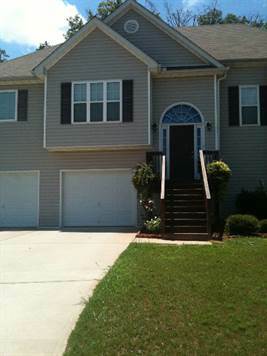 3 bedrooms, 3 baths plus finished basement with teen/in-law suite. 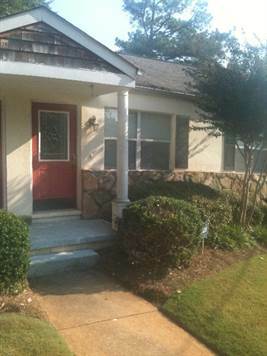 Lithonia, DeKalb County - Announcing a rent/lease reduction on 2202 Par Three Way, a 2 bath, 3 bdrm single story. Now MLS® $900 USD Monthly - .